GOSHEN, N.Y. (CN) – Hudson Valley residents have filed suit to block construction of a massive Legoland amusement park one hour north of New York City, saying corporate influence swayed a town planning board in Goshen to foist the plan on their community. Represented by Goshen attorney Michael Sussman, the group Concerned Citizens for the Hudson Valley filed its petition on Nov. 20 in Orange County Supreme Court. Joined by five local families, the challengers say Goshen’s town planning board “fast-tracked” plans for the amusement park without any public feedback, rezoning land in violation of town statutes. U.K.-based Merlin Amusements, which operates nine other Legolands worldwide, has advertised the $500 million project as the “largest Legoland park in the country,” anticipating some 20,000 visitors daily. 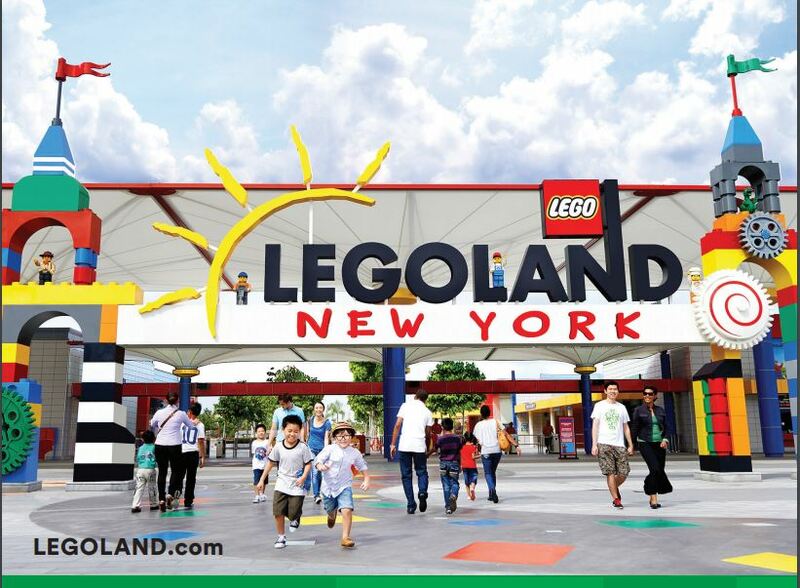 Featuring a 250-room hotel and more than 50 rides, Legoland New York was originally scheduled for a 2019 opening but the project in Goshen faced almost immediate opposition. In addition to the formation of a group called StopLegoland, the members of Concerned Citizens for the Hudson Valley sought a referendum on the development process and filed a lawsuit in 2016 alleging zoning chicanery. That lawsuit was dismissed in February 2017, but this week’s petition in Orange County Supreme Court contains many of the same allegations: that the town arbitrarily rejiggered its zoning laws and ignored environmental and safety concerns to force through the project. Critical to the lawsuit is Goshen’s 2009 update of its comprehensive plan. With a focus on encouraging development while protecting environmental assets, the plan recommended against large-scale development and banned amusement parks. This went out the window, according to the complaint, when Merlin Entertainments executives met with town and county officials in early 2015, taking an interest in roughly 520 acres of land the town originally had set aside for residential and agricultural use. In June 2016, the company submitted an application for permits and site plan development of about 153 acres of that land for the amusement park. Monday’s petition notes that Merlin demanded in December that year that Goshen remove an 18-year member of the town planning board because his wife, an elected town official, had expressed concerns about the Legoland proposal. Discussing these allegations in an interview, an attorney for the town noted that “personnel reasons” led the board not to reappoint this board member after his term ended. The lawyer – Richard Golden of Burke, Meile, Golden & Naughton – also attributed Legoland’s request to the potential conflict of interest that arose when the board member’s wife said development would hurt her home’s value. Legoland’s opponents in Goshen additionally point out findings by the New York State Department of Transportation in December 2016 that Merlin’s environmental impact study inadequately addressed traffic accommodations or infrastructure. That new local law allowed for development on the overlay district within a tight six-month window, according to town documents. “In short, the town board sought to change its local law to advantage one and only [one] developer since no other developer could reasonably be expected to gain site plan approval for such a massive project within a six-month period,” the petition states. Goshen’s legal foes say the town board failed to study both the environmental impact of Legoland and the public health impacts, as well as increased traffic, housing for Legoland employees, and the cost of extra police and firefighters to safeguard the property. Berger also claims that the amusement park’s lights will hurt his sleep and cause migraines for his wife, who suffers from seasonal affective disorder. Residents claim as well that Legoland’s planned parking lots will affect their well water supplies, that construction will increase flooding, and that bats and deer displaced by the construction may increase the exposure to tick-borne diseases. “I’m very confident that like their prior lawsuit it will be dismissed,” Golden said in an interview. The attorney described the development process as including 15 planning board meetings and 4,000 public comments, and that the project has changed dramatically from the initial 2016 plans. To address the DOT traffic concerns, Golden said that 150 acres have been put into an environmental easement. Phil Royle, development director of the park, predicted another court win for Legoland as well. Sussman, the attorney for the plaintiffs, decried the “plainly illegal processes” by town officials. A month after Goshen officials passed a resolution stating the town did not have enough water to accommodate Legoland, Sussman said, it sought an analysis of whether the town could provide water to the amusement park. Sussman also noted that the head of the town planning board distributed pro-Legoland literature wearing a Legoland button in 2016 prior to the planned construction ever going before the Goshen planning board. The StopLegoland group has since called attention to potential pro-Legoland bias among town officials.